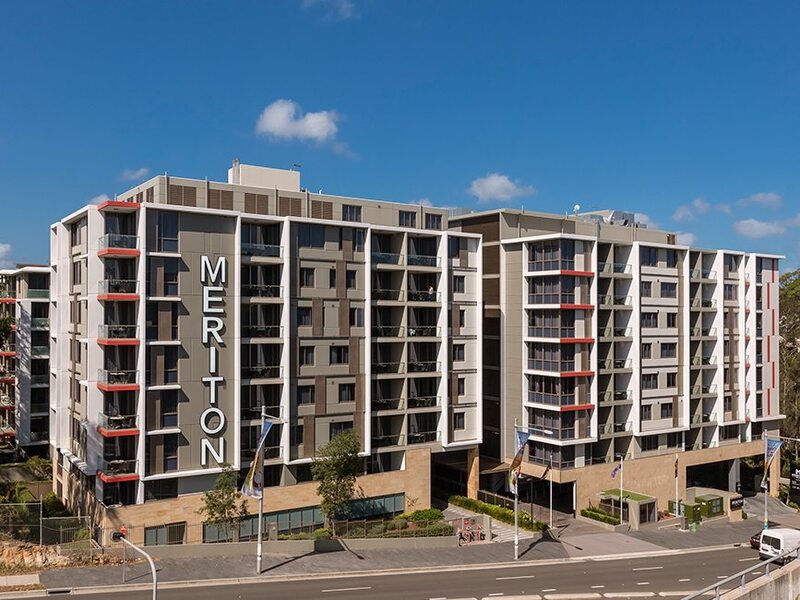 Whether you have arrived at Meriton Suites North Ryde for leisure or for business, be treated to absolute luxury as you are welcomed in by a team of friendly and professional guest services staff. Have our hospitable onsite porters assist you with your bags as you buzz in anticipation to enter through to one of our truly spectacular suites. Rated as 5-stars, we boast 199 beautifully appointed suites across 9 levels, all designed with impressive floorplans, internal laundry facilities and contemporary fitouts. Our guests will be able to enjoy the convenience of cooking their own meals in a fully equipped gourmet kitchen as well as treat themselves to a refreshing and stylish range of bathroom amenities. Take advantage of the resort style facilities we have on offer, including a large spa and sauna, an indoor heated lap pool and fully-equipped fitness centre, perfect for maintaining that fitness regime. Catered to business travellers, leisure seekers and students, our guests are able to make the most of our complimentary high-speed Wi-Fi network, accessible from all areas of the hotel including all suites. Our convenient location is only 17 kilometres north of Sydney’s CBD and is nestled nicely within Macquarie Park’s extensive business and Technology Park. Getting around the business park will be easy with our daily complimentary shuttle bus, which will take you to and from the business park in the morning and evening peak periods. Our exceptional team will be more than happy to assist with timetable and route details if you need more information.